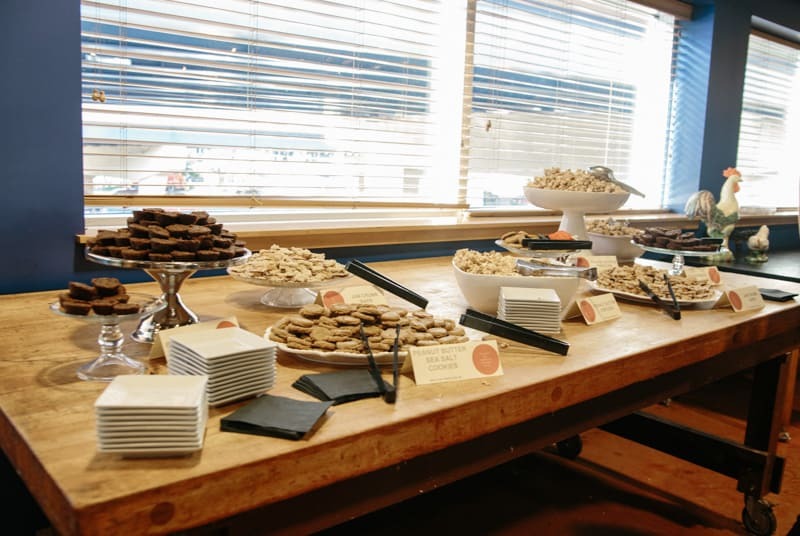 The cookbook launch party took place at the gorgeous Milwaukee Public Market in their upstairs seating area. 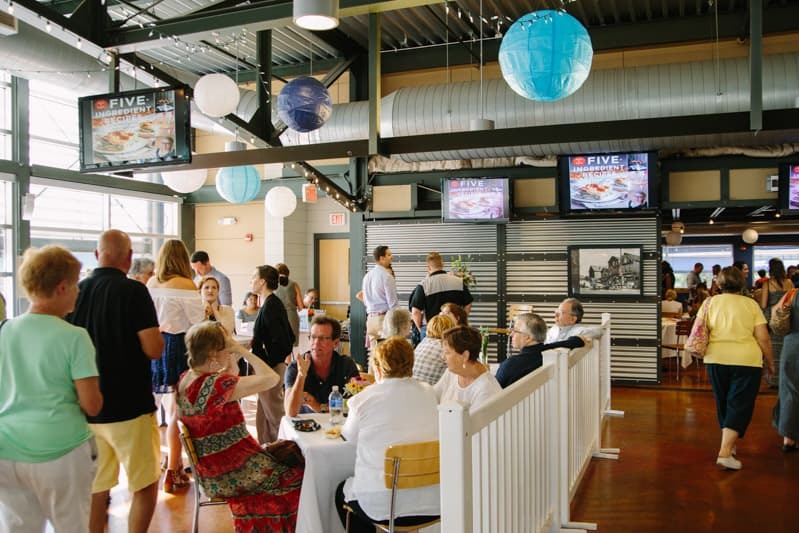 The Milwaukee Public Market holds a very special place in my heart because that is where my husband and I had our wedding reception when we got married. 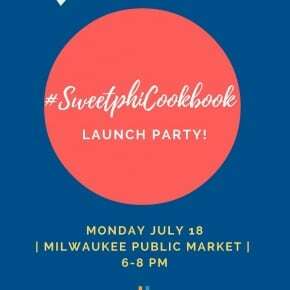 Every time I used to go there, I would get all the feels, NOW, I’m going to get even more emotional because I’ll be remembering my cookbook launch party too! There were over 100 people at the event – how crazy is that? I still cannot believe it – over 100! I thought that ok, my parents would come, my in-laws, a few friends…maybe it would be 20-30 people…TOPS. Nowhere, nohow, noway did I ever imagine getting to meet and see so many people. My favorite part of the event, by far, was getting to see and hug everyone. 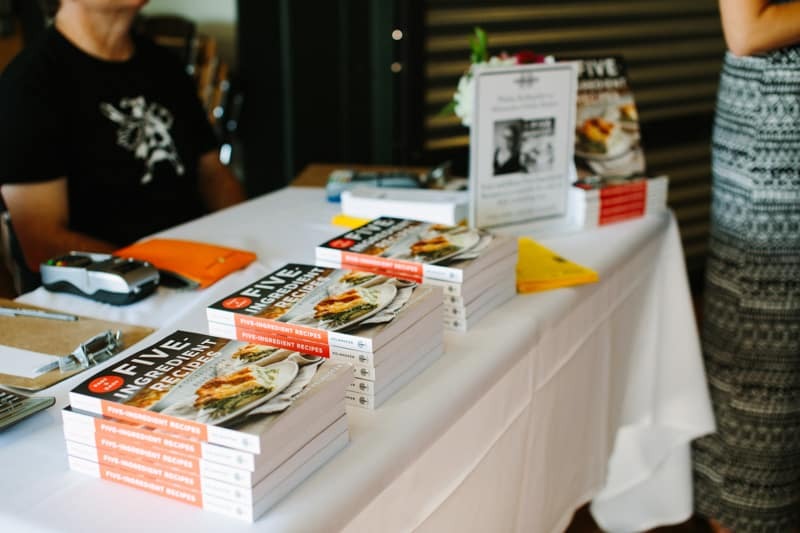 For the event, we made 9 different recipes from the cookbook <- yup, 9!! I say “we” because it was a true team effort-I could not have done it without the help of my in-laws. We cooked from 8am -10pm the day before the event, and even the day of the event my mother-in-law was finishing things up. The food was so good, I’m not biased, I promise, everyone else was saying how great all the food was. 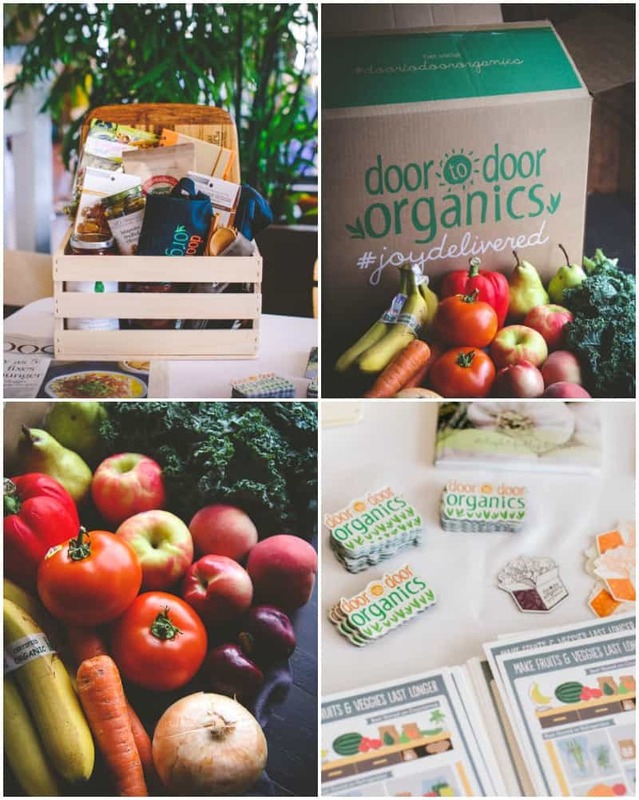 Another HUGE THANK YOU goes to the cookbook launch party sponsor, Door to Door Organics. This party simply would not have been without them. 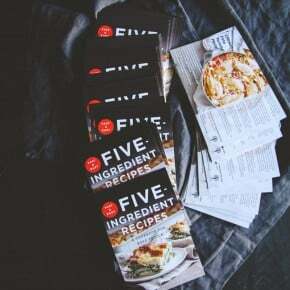 I know I spoke about it when I shared this awesome vegetable frittata recipe, but when I was creating my cookbook, it was Door to Door Organics that came to the rescue week after week. 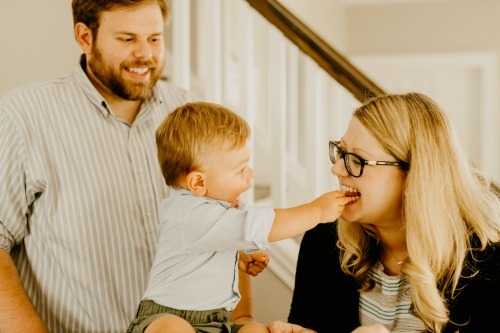 They’re an organic grocery delivery service, and they don’t just have produce boxes that they deliver to your door, they have pantry staples and pretty much every grocery item under the sun. 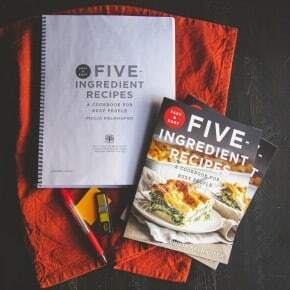 I would plan which recipes I was going to make for the cookbook ahead of time, order groceries, and then come home to find everything waiting for me. Every time it’s delivery day, I come home and smile at their boxes. Their hashtag is #JoyDelivered – and it truly is. For the cookbook launch party there was a grand prize gift basket and lots of other goodies that were being given away, all courtesy of Door to Door Organics! Right when the event started, I got these incredibly beautiful flowers delivered-they were from my grandmother-in-law (you may remember her from when we made grape bites) and I was brought to tears. How thoughtful, and it was so special to be able to look over at the flowers throughout the evening. 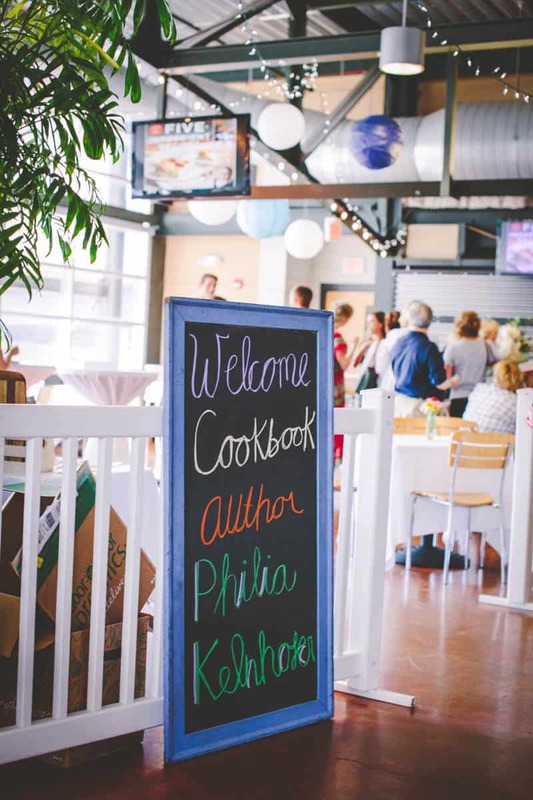 The thank yous continue – Boswell Books was there selling my cookbook which they did so seamlessly! And, a big thank you to Milwaukee photographer Will Skaggs who took photos of the event. 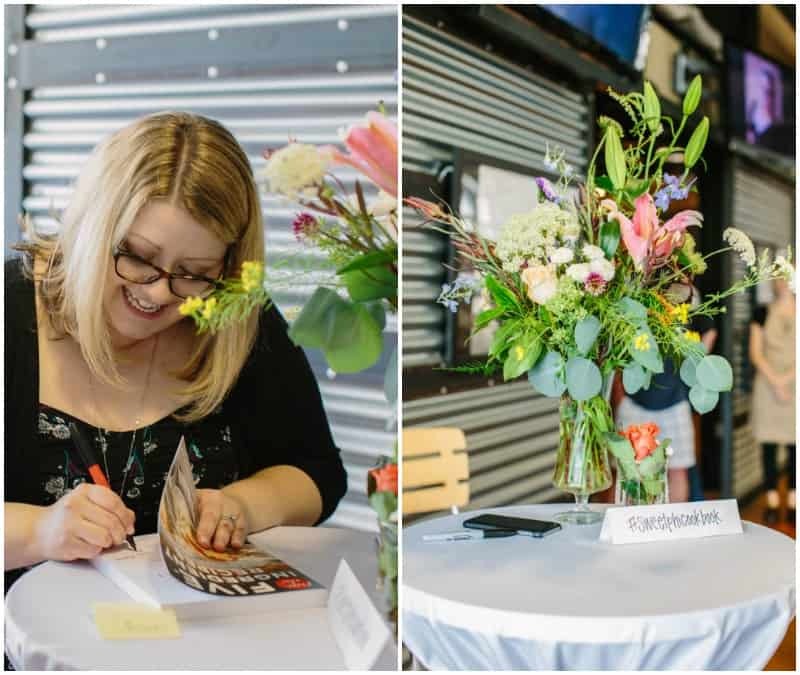 The cookbook signing and party, and meeting so many of you who had read about the event (and came) from when my cookbook was featured in the newspaper, and to all the local Wisconsin food bloggers who came out to support me. 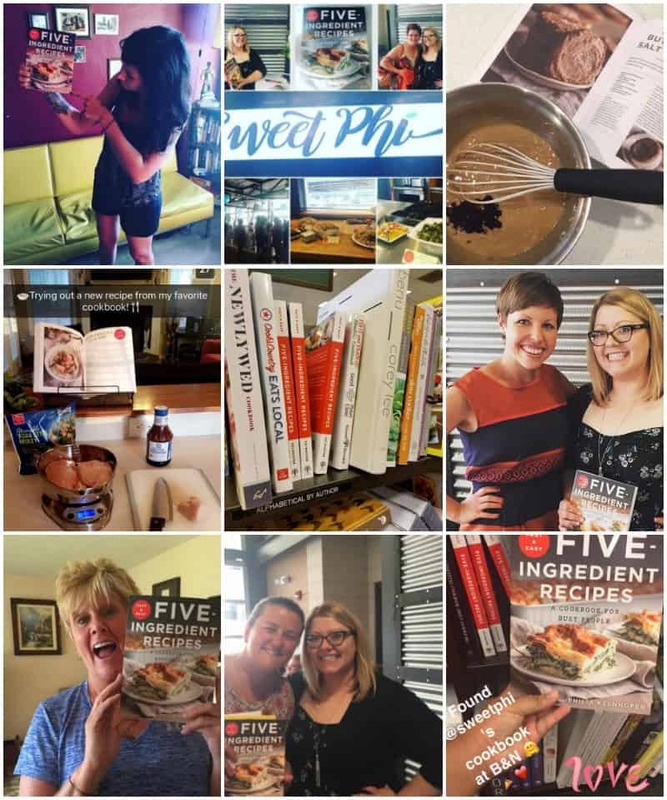 My actual cookbook launch date (July 19th)… my cookbook now officially has a birthday! My first live TV appearance (I didn’t fall over and die) – I had practiced by doing my first Facebook live video. My cookbook making it to #1 on a category on Amazon!! 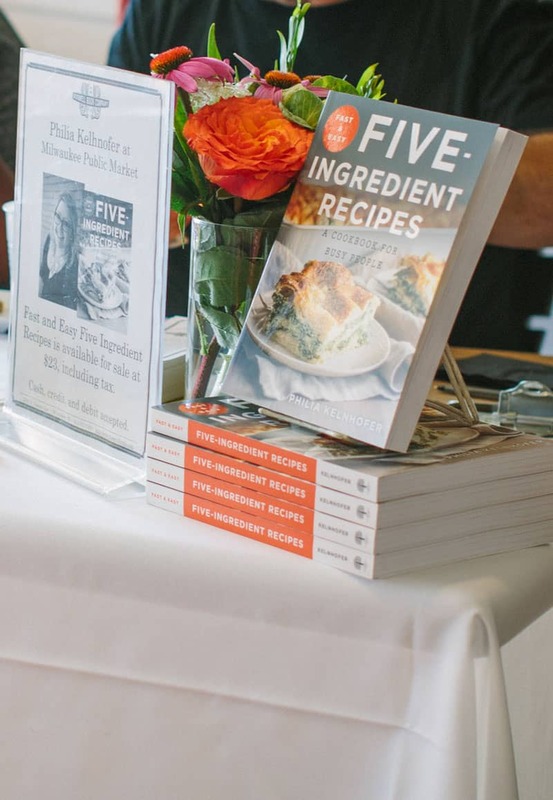 Speaking of Amazon – if you’ve gotten the cookbook, I would love if you would leave me a review on Amazon, it really helps out with getting the cookbook noticed and the almighty Amazon algorithm. Seeing my cookbook ON the shelves of Barnes & Noble – crazy! 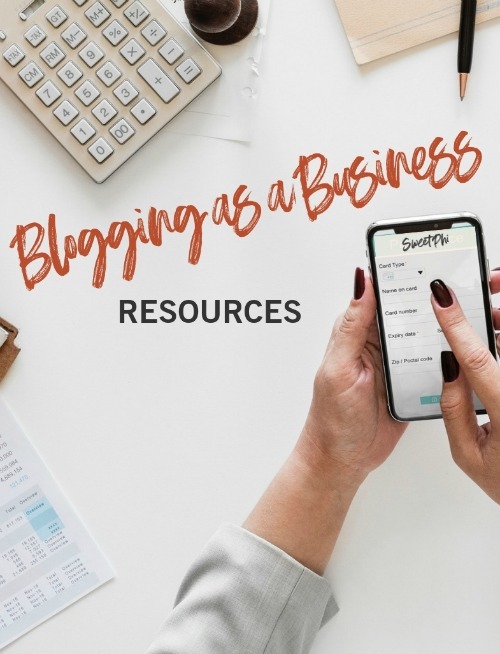 Two lucky winners will each receive: 1 signed cookbook, 1 $50 gift certificate to Door to Door Organics, and 1 $100 e-gift certificate for Tieks (my fave flats, you can read more about my review of Tieks – here – if you don’t already know about them). To enter, simply leave me a comment telling me what is your favorite organic produce, or what is your favorite recipe from the cookbook? Winners will be randomly chosen 8/1/2016 and notified via email (US entrants only). My favorite organic produce is strawberries. Organic kale is my favorite! 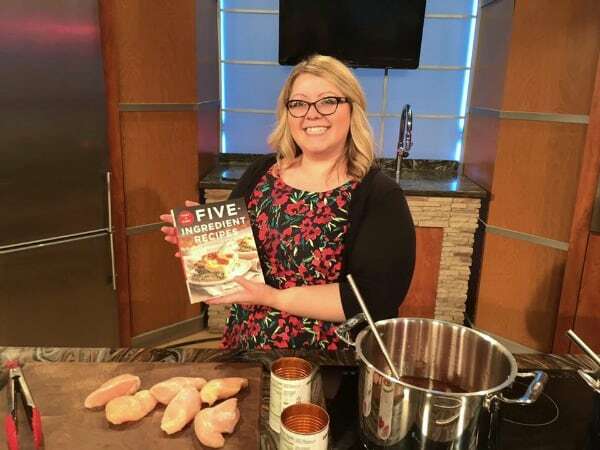 Congratulations on your cookbook launch! My favorite recipe would have to be the Vegetable Frittata – so easy and quick! Favorite organic: anything from my CSA, but especially their carrots. Or maybe the sun gold cherry tomatoes. I love organic anything fruit and veggie! Favorite recipe would be the Frittata….so good and easy! The frittata!!! Man o man, i make that every week, totally in love with the fresh veggies, thank you so much for commenting! 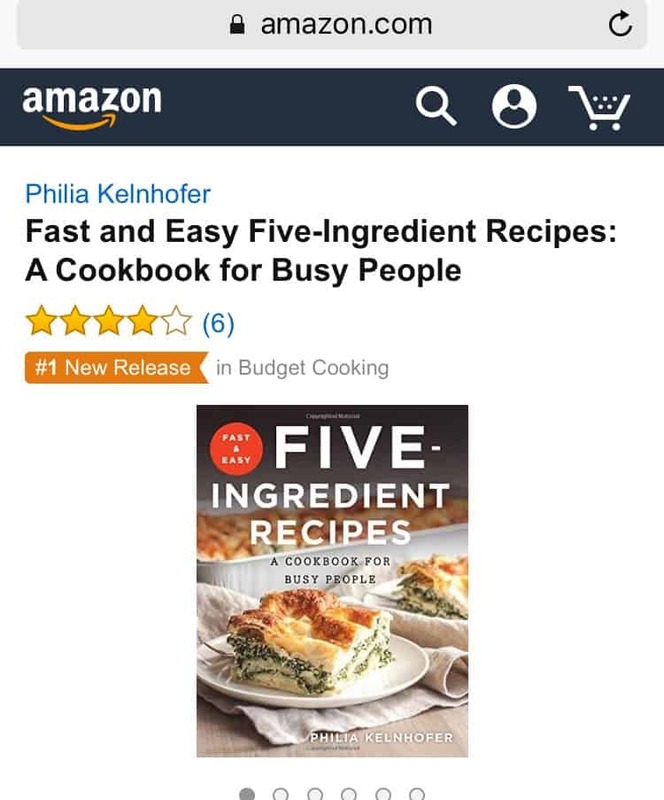 Congrats on the cookbook, Phi! My favorite recipe (so far) is the soy sauce shrimp and grits. Organic carrots are my fav! I just roasted carrots today, they’re so great! I try to stick with organic berries and apples. I haven’t tried recipes yet but the lasagna recipe caught my attention. That lasagna recipe is so good, I think you’ll love it 🙂 Thank you for commenting! Oh wow..awesome launch and congrats! If I’d been in your area I would have attended and what a perfect venue for the launch and weddings too. I love love veggies…therefore hard to pick one fave. I’ll say tomato as I use them daily. And, I can’t wait to make your new magic green sauce. Thank you so much Vickie! Hope you love the magic green sauce – it’s so amazing! Strawberries are delish, especially in the summer!